Do you have a website with several language versions that need to be updated regularly? Do you have a company that is expanding internationally, which uses a document management system? 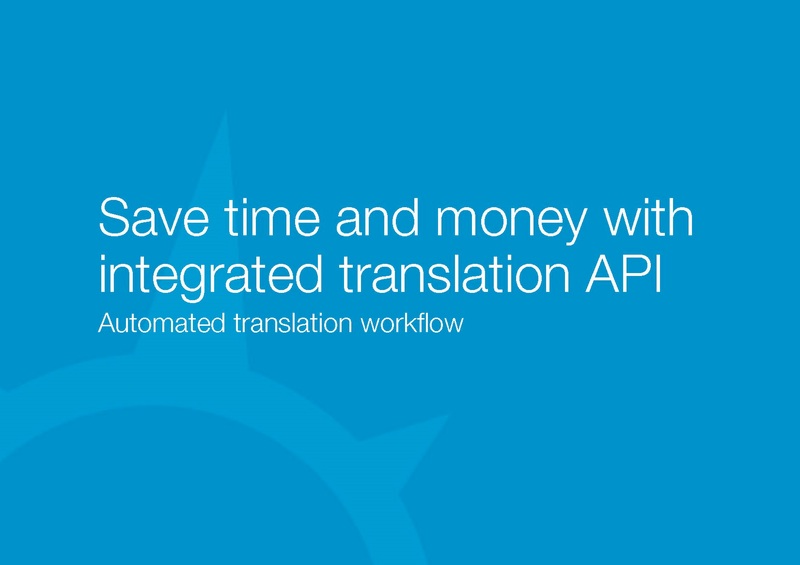 Integrated translation API can automate a large part of your workflow. Using API, the interface between your content and document management systems (CMS, PIM and DMS) and our translation system is integrated, so that data is exchanged automatically. When you use World Translation’s translation API, you save both time and money, and consequently access new markets faster. You can order translations directly from your CMS with a single click. A CMS integration for translation ensures that your content is translated rapidly, securely and efficiently. With a single click, you can transfer the files that need to be translated directly from your CMS to us, and we automatically receive a message. You no longer have to spend time and energy manually copying text or contacting us when you order a translation, because we are automatically informed. Once World Translation has translated your files, they are returned to your system and are ready for publication. The files are automatically transferred to the correct location in the system, which saves time and minimises the risk of human error. You no longer have the hassle of managing file formats and versions. In other words, translation API streamlines the translation process and increases the value of your CMS. Our translation API can be tailored to match your system and meet your needs – either using standard modules or a version that has been customised specifically for you. The integration streamlines your translation processes, so you lower costs and shorten delivery times. For this kind of translation task, we also use translation software with translation memories and termbases, so we can reuse your previous translations and ensure high quality. As our customer, you of course always have the option of tracking your translation project in the system in real time, so you always know exactly the status of your project. Learn more about our customer portal and other benefits. Download our product sheet and learn about the advantages of integrated translation API – in PDF format.